AGENDIS offers virtual offices at nine top addresses – fast and straightforward for rent. Establish your branch, your company headquarters, your virtual sales office or simply a prestigious business address at our modern, attractive office buildings. Flexible rental periods and individual service packages, from your own local phone number including telephone service and mail handling to further business assistance services. With dedicated contact persons and a well-trained team you will find the perfect conditions for your business. Rent a virtual office at a top business address and be always available and flexible, even without an office. The AGENDIS group provides nine excellent locations in Frankfurt, Stuttgart and Munich for the establishment of your virtual offices. Attractive office spaces and business centers in the most representative areas offer more than just a good business address. If needed, we also provide day offices, coworking areas as well as conference and meeting rooms. With internationally renowned companies in the neighborhood, you can establish quickly and straightforwardly your company headquarters, a sales office or a temporary project office with our professional support at the AGENDIS business centers. Customer satisfaction, integrity and good services are important to us. With our dedicated contact persons and short decision-making paths we provide quick and uncomplicated responses to your wishes and individual requirements. The brand AGENDIS stands for exceptional quality, reliability and integrity in terms of renting business addresses and additional business assistance services. Specialized in the individual requirements of companies we offer an attractive, business-oriented atmosphere at our office buildings. 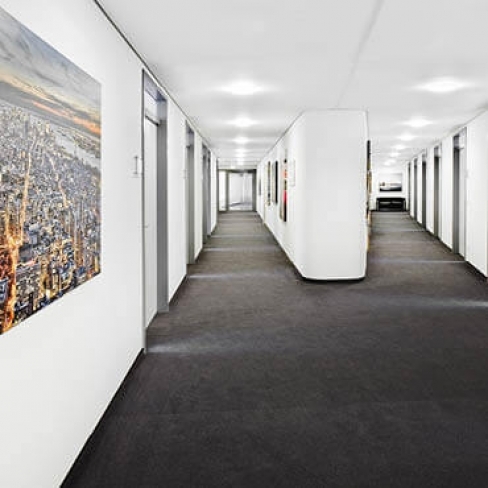 Our all in all nine AGENDIS locations in Frankfurt/Main, Stuttgart and Munich are characterized by their prestigious, easily accessible locations, renowned companies in the neighborhood and the modern equipment. With a total of 25,000 m² of office space, flexible space planning and versatile services we can provide highly individual service packages for our customers. With AGENDIS you cannot only rent virtual offices, but also office space on a temporary or permanent basis for single staff members or teams - fully equipped and with excellent technical infrastructure. 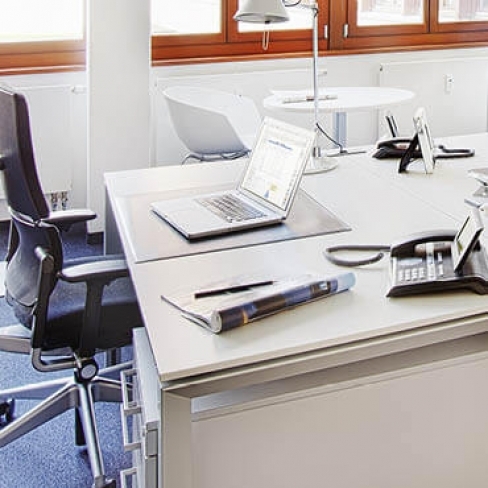 Our offices are furnished with high-quality furniture, just as our prestigious conference and meeting rooms that are also equipped with state-of-the-art IT and communication technology. For our customers it is important to have fixed and dedicated contact persons, a friendly and well-trained service team and short decision-making paths for all their issues. As a mid-size business center operator we provide the perfect balance between professional ambience, high-performing equipment and personal on-site support. Our well-trained team that has been employed for many years takes care of your requirements in a friendly as well as reliable way, and thus, offers you the benefits of an excellent back office.